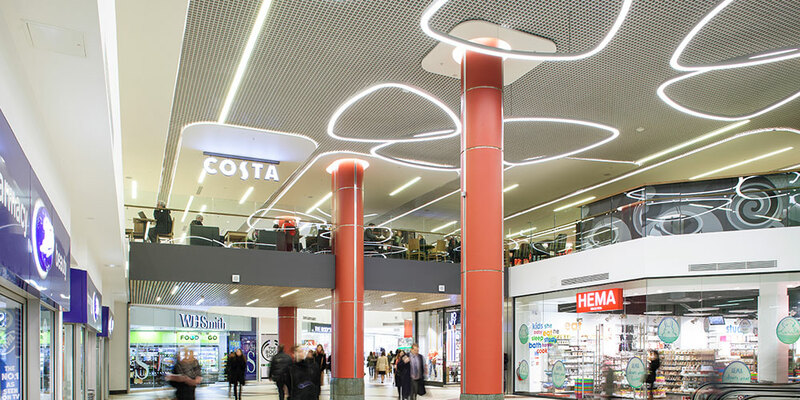 Working with Haskoll Architects, Hoare Lea Lighting developed the lighting solution for Victoria Place Shopping Centre, the newly refurbished retail and food and beverage destination in Victoria Train Station, London. The centre now hosts a number of popular retailers including, Holland & Barrett, David Clulow and Next and a selection of restaurants, casual eateries, coffee shops and convenience food stores. 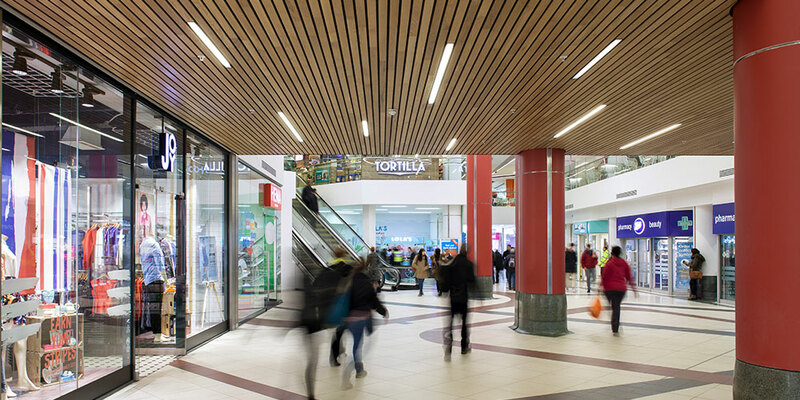 The brief presented to Haskoll was to refurbish the shopping centre and food court with the aim of re-launching Victoria Place as a retail and food and beverage location that would attract a greater proportion of the flow of visitors to the station (around 120m each year) and from surrounding areas. Hoare Lea Lighting worked with Haskoll to create a bright environment with a vibrant lighting design for the 9000m2, two-storey space. 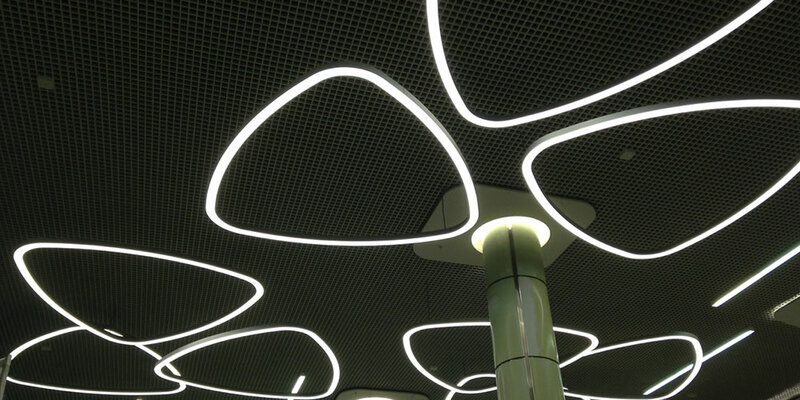 Ambient lighting is provided by linear recessed and surface mounted luminaires and LED downlights, which create a comfortable visual environment, assisting wayfinding and navigation. An impression of natural light is generated through the large Barrisol ceiling, backlit by an array of Osram LED modules. This creates the illusion of daylight, which encourages visitors to linger, especially in the restaurant areas on the second floor balcony. Feature elements include Optelma’s ‘BELLA’ Pendant. This bespoke light fitting adds drama, while providing general illumination to the floor of the mall. It incorporates an indirect colour-change element, which discretely adds interest to the scene.